Traveling through the breathtaking landscape of Wind River Indian Reservation, I had a vision of Buffalo Bill: Wild, yet royal and deliberate, he sat tall on horseback riding alongside Indian chiefs through Wind River Canyon, about an hour south of Cody, Wyoming. This picture of William Frederick “Buffalo Bill” Cody (1846-1917) stayed with me for the remaining drive to this Wild West Town (population 9,000). The famous scout, soldier and storyteller founded the settlement in 1896 and his thumbprints have stamped its streets, buildings and identity. Cody, the eastern gateway to Yellowstone National Park, is home to the Buffalo Bill Historical Center. The world-class museum and proud spirit attract over one million visitors annually. Even with its own unique contribution to Buffalo Bill’s legacy, this friendly town still talks about the controversy surrounding the fight for Buffalo Bill’s true corpse and gravesite now located in neighboring Colorado. I boarded a historical trolley tour when we arrived in Cody. Trolley owners Mike and Margie Johnson showed historical pictures, relics, and used audio clips to describe Buffalo Bill’s influence on the town. The 24-mile (38.6 km) tour included information on the town’s historical sites, geology, wildlife, and boasted about the Cody’s low crime rate, education facilities, and acclaimed museum and rodeo entertainment. What intrigued me the most was the continuing controversy over Buffalo Bill’s burial. Buffalo Bill’s official gravesite is on Lookout Mountain, just outside Golden, Colorado, overlooking the vast landscapes where he loved to hunt, ride and scout. Cody residents argue that the town’s founder should have been buried in their community. Residents of North Platte, Nebraska, where Buffalo Bill had a home, also claimed his body. Because of Cody’s military service, Arlington, Virginia could have insisted on the Colonel being buried in their midst as well. Threats to steal the corpse kept Colorado on alert. To protect the site, Cody’s grave was carved from solid granite and sealed with cement inside of a steel vault. His wife Louisa is buried beside him. In his 1906 will, Buffalo Bill had actually selected Cedar Mountain, just outside of Cody, as his burial site. But Louisa Cody wrote in her autobiography Memories of Buffalo Bill, that the day before he died, he changed his mind, and had asked to be buried on Lookout Mountain: “It’s pretty there… You can look down into four states,” he is believed to have said. Biographer Robert Carter explained that it was unclear exactly where Buffalo Bill intended to be buried, but he had planned to return to his beloved Big Horn country — the area of Northern Wyoming on the east slope of the Big Horn Mountains, where Cody is located. If he had made it back there before he passed away, he would have chosen to be buried on Cedar Mountain. On January 10, 1917, when William Cody died in Denver while visiting his sister May Cody Decker, the city of Denver wanted to claim his body and erect a famous gravesite. Cody’s family finally chose to leave the location of the burial site entirely up to the city. just outside of the Buffalo Bill Historical Center. Some still believe the unproven accusation that Louisa, Buffalo Bill’s wife, unhappy for a long time in the marriage, took the payment of US$ 10,000 from Denver newspaper owners Henry Tammin and Frederick Bonfils as a persuasion to bury him on Lookout Mountain. Supposedly, the media moguls wanted the world-famous gravesite to attract tourists to Denver. Trolley operator Mike Johnson presented yet another twist to the story. Cody’s corpse may have been secretly exchanged for a double. 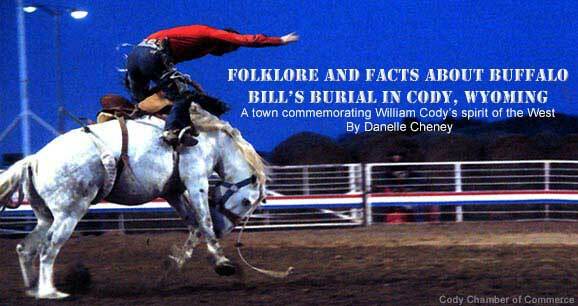 Mike had interviewed third-generation Cody residents and according to his sources, the town undertaker was upset that Buffalo Bill was not going to be buried on Cedar Mountain. So when a look-alike cowboy died in May, the mortician made a few changes to his mustache and beard, and thought he might pass for Bill Cody. The mortician and two friends then went with the iced body to the mortuary in Denver where Buffalo Bill’s body was kept, and convinced the employees there to let them into the crypt room to pay last respects. They investigated the building, somehow stole a key, and came back after midnight where they left the strange cowboy corpse in exchange for Buffalo Bill’s body. They quickly returned to Cody, and buried Buffalo Bill on top of Cedar Mountain using shovels and picks, where he is said to remain today. Johnson, who has researched the burial controversy for years, poses several questions about the possibility of such an exchange, and has not reached a final conclusion. Buffalo Bill’s body went to Colorado State Capitol Building where 18,000 to 25,000 paid their respects, and after a funeral, rested at Olinger Mortuary in Denver for about five months until the June 3rd Lookout Mountain burial. Johnson has investigated whether the trio could have broken into the mortuary, whether or not the mortician could have matched facial expressions, business suits, mustache and beards. 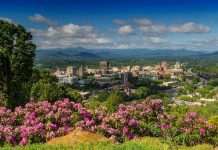 If the switch had been successful, it would had fooled Bill’s wife Louisa, along with the 20,000 who viewed Cody in the open casket on the Lookout Mountain funeral. Finally, burying Buffalo Bill on Cedar Mountain would have been difficult with the use of hand tools since mountains are basically rock formations. Tour guide Bob Richards, whose father and grandfather supposedly told him what happened, and who shares their story on his CD The Road to Yellowstone,claims to be the only person who knows the location of the suspected Cedar Mountain site, which is not open to the public. Johnson has concluded that without investigation of the Cedar Mountain site, finding a body and conducting a DNA test, the burial controversy can never be completely settled. Denver tried to raise money to build a grand monument, but in the end, the grave bears only a plain marker with a straightforward identification, a souvenir shop, refreshment stand, and a museum with Cody artifacts called Pahuska Lodge. Yet the gravesite is an international attraction. 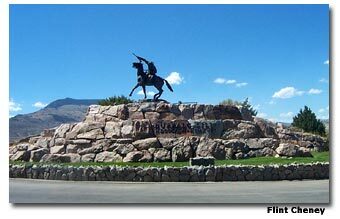 It is the citizens of Cody who successfully built a permanent monument, a statue of Buffalo Bill on horseback sculpted by Gertrude Vanderbilt Whitney set on a rise in the ground just outside of another tribute to Buffalo Bill — the astonishing Buffalo Bill Historical Center. After visiting Cody, and sensing the pride of Buffalo Bill everywhere in the town, I would certainly agree. Cody has 35 motels, 11 Bed and Breakfasts, numerous guest ranches, 41 guesthouses, 46 restaurants and nine RV Parks. Buffalo Bill State Park: six miles (9.6 km) west of Cody includes the new Buffalo Bill Dam Visitor Center. Park offers camping, picnicking, fishing, wind surfing reservoir and informative exhibits in the visitor center. Buffalo Bill Historical Center: “The Smithsonian of the West” has five world-class museums under one roof: the Buffalo Bill Museum, the Whitney Gallery of Western Art, the Plains Indian Museum, the Cody Firearms Museum and the Draper Museum of Natural History. Cody Night Rodeo: “The Rodeo Capital of the World” rodeo every night June-August, 8:30 p.m. No reserved seating, but Buzzard’s Roost area has best seats. Contact Jim and Cathy Ivory at Rodeo Grounds. Cody Trolley Tours: “Give us an hour and we’ll give you 100 years!” Fun 60-minute city tours. Depart from the Irma Hotel. Free shuttle service. Old Trail Town : “The way the west used to be.” Historic cabins create an authentic Old West town. Cody Gunfighters “Nightly gunfight re-enactments,” Porch of the Irma Hotel Mon-Sat, 6 p.m. Free. Tecumseh’s Miniature Village and Museum “The West’s largest model train layout.” Western diorama, museum and gift shop. Buffalo Bill Memorial Museum on Lookout Mountain, Golden, Colorado, next to the graves of William F. and Louisa Cody. Buffalo Bill’s Ranch State Historical Park, North Platte, Nebraska, Cody’s famed Scout’s Rest Ranch house and barn. LeClaire, Iowa, Buffalo Bill’s birthplace, now home to a museum and Cody family homestead.